Industry : Automobiles - Draft Air, Ahmedabad, Gujarat, India. 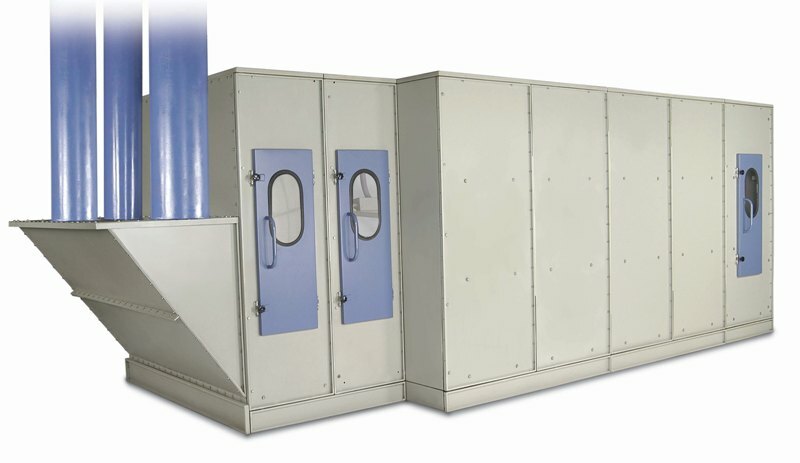 Large capacity air washers can be provided with prefabricated housing where fast installation is required.The air washer is designed in modular construction which occupies less space. Moreover it is tailor made & hence can be customized as per the requirement. 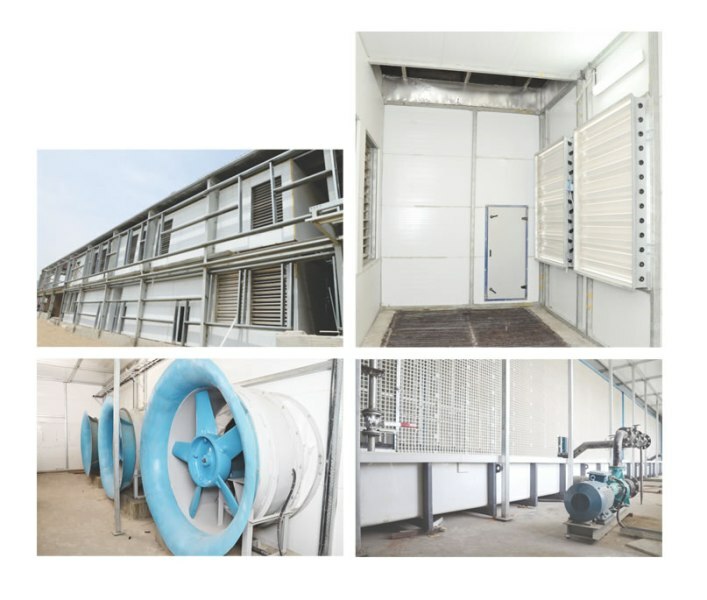 Air washer plant wall panels are made from PUFF insulated sandwich panels having Pre Coated Galvanised Steel Sheet on both sides. The panels are 40mm thick having 40 ± 2 kg/m³ puff density. Tongue & groove joint between the panels ensure precise inter locking & provide dimensional accuracy. Panels are supplied in width 1000mm with ribbed finish on both sides for additional strength. To support the wall panel additional support is provided of galvanized square pipes are bolted to PUFF panels both vertically & horizontally. Complete frame structure is in bolted construction with hot deep galvanized angle. Additional pipes are provided where equipment like dampers, filters etc are installed for grouting purpose. Air washer tank is made from factory fabricated FRP panels which are assembled at site with reinforced structure. Tank bottom & side walls will be made from 6mm FRP panels. Side walls of the tank will be additionally supported by steel pipes which will be further coated by FRP lining. The complete air washer chamber will have FRP walls & FRP roof which will be made from FRP sheets. 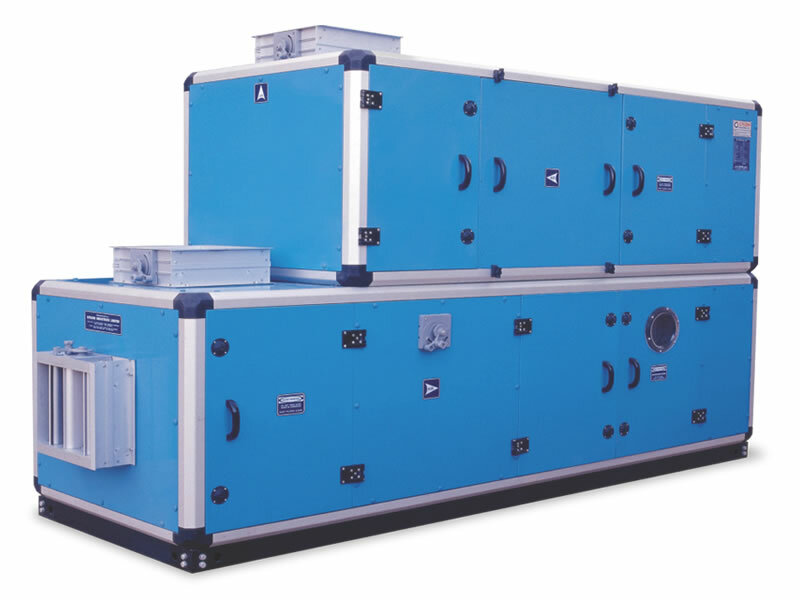 Draft Air's Integrated Waste Management also consist of the most compact yet reliable & rugged filter unit, combining both primary and secondary filter. Lower pressure drop, improves machine efficiency, low maintenance and flexibility to have the system without civil work. Draft air offers custom designed Air Handling Units (AHUs) in varied capacity and configuration for comfort (commercial applications) as well as process cooling requirements (Industrial applications) for power plant, packaging units, clean room for hospitals, pharmaceutical, processed food applications. They are designed and fabricated for trouble free operations for years to come.